N.Y.K Line Departure, postcard circa 1935. 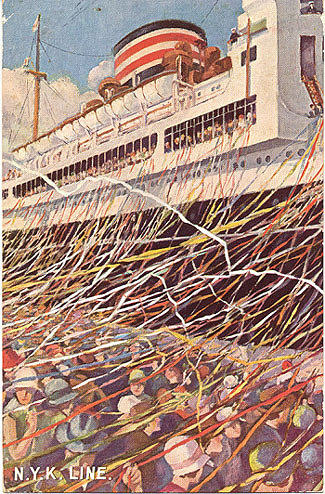 Titled: "Shouts of 'Bon Voyage' and cascades of paper ribbons mingle as N.Y.K. ship departs." Published N.Y.K. Line.